All of the 11 internal synth sounds have been markedly refined and enhanced to produce a fatter, more cutting sound than ever. The sounds are built on variations of three oscillator Waves (Saw, Square, Pulse) and filters that modulate according to the envelope and LFO changes you apply. 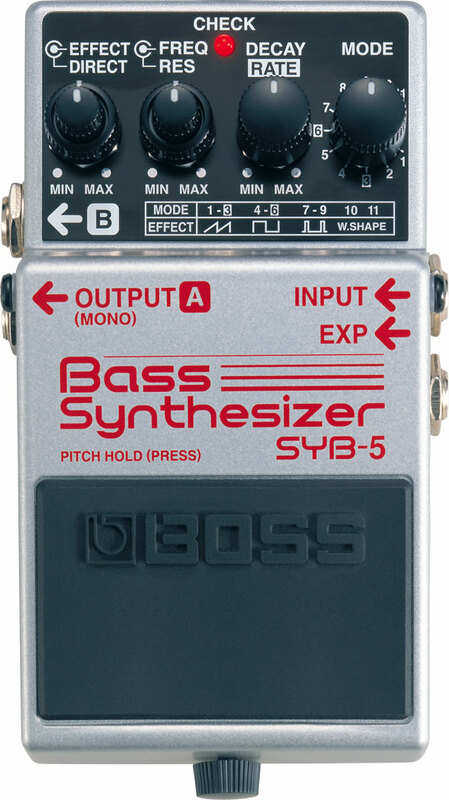 You won’t believe how much synth-bass beef can come from such a small pedal. An external pedal input jack has been added to the SYB-5 for connecting an EV-5 Expression Pedal (sold separately), which allows you to control filter cutoff and LFO rate in real time with your foot. 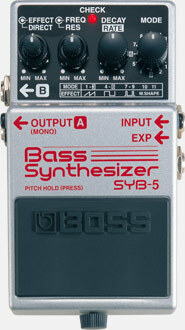 In Modes 1−9 you can use the SYB-5’s onboard pedal to hold a note while playing a bass phrase over it. Time for a bass solo? You bet!